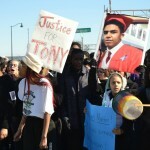 On this edition of A Public Affair we continued our conversation regarding the police shooting of Tony Robinson, an unarmed 19-year-old black man. 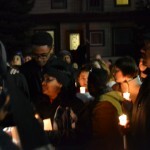 MADISON (WORT) — A candlelight vigil was held Sunday evening for Tony Robinson, the unarmed 19 year-old who was fatally shot by a Madison police officer on Friday. Madison Police officer Matt Kenny shot Robinson in the chest following a confrontation at an apartment on Williamson Street.